Saturday the 6th was a very special day. My neice Tiffany was able to have her wish granted by "Make A Wish Foundation"
Her wish has a bit of a story behind it, which makes her wish even more special. 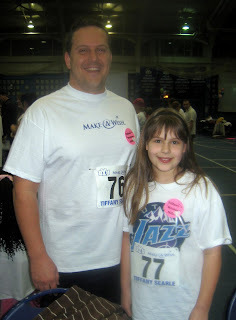 Tiffany ran her first official race in the American Fork City childrens race. Since then she has run the race 3 times. She placed 2nd place twice and the third time she didn't place. 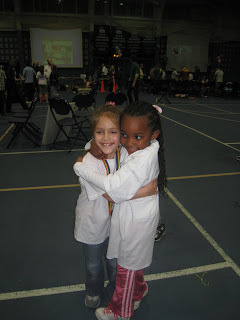 Shortly after this race she began falling down alot more than a 6 year old should. 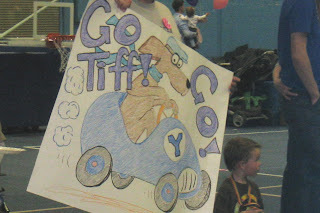 This started the long and agonizing road for Tiff and her family to finding what was ailing her. To this day there has been no diagnosis or treatment that can stop this horrible debilitating disease. 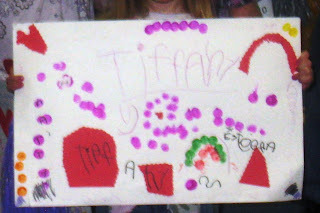 While Tiff has been dealing with this over the last few years she found someone who she connected with, someone she could talk with and find some comfort in knowing she wasn't the only child in the world who was sick. Tiffany's friend Jolynn was someone who was also going through a horrible disease. She was diagnosed with a congetitive heart condition. 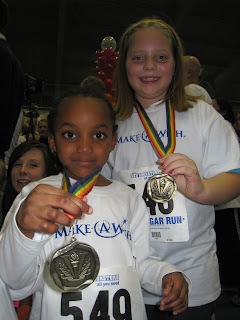 The two of them talked about when they got better they were going to run a race together in celebration of getting better. 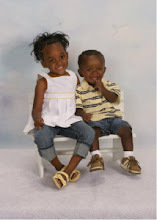 In April 2008, Jolynn passed away. The news was hard on everyone in the family especially for Tiffany who cried the entire day. When "make-a-wish" called Tiffany to talk about what her wish was she did not have to think long before she knew her answer. She wanted to run again. Tiffany has been on hospice since December. Everyday is simply a miracle this little angel is still here. So with the creative abilities of this wonderful foundation they made her wish come true in just one week. She was pushed in a stroller especially made to accomodate her. 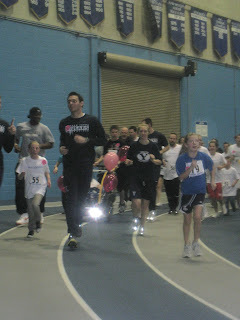 50 of her family and friends ran a mile race at the Smithfield House on BYU campus. While the rest of the 400+ people stood around the track cheering her on. It was a night I will never forget. So many people who have been touched by Tiffany's happy attitude and sweet smile... So many who would gladly give her their healthy body if they could. 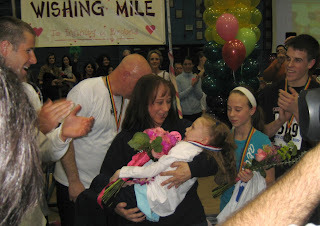 What many didn't know was that Tiffany and her family were wearing a photo of Jolynn around their necks. It was a night for both Tiffany and Jolynn. A very special night indeed. 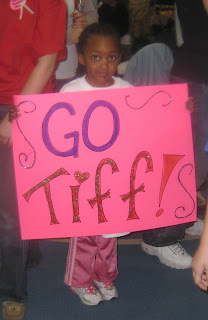 Daesha holding a sign we made for Tiff. So many people had signs, pom poms, and big #1 finger gloves. 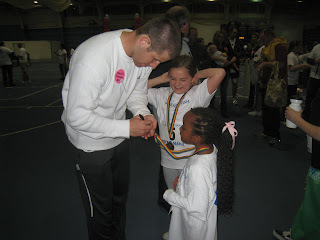 Tiffany with BYU quarterback Max Hall. Tiffany has a BIG crush on him. He and a few other players ran with her. When she crossed the finish line he took her out of the stroller and carried her to the winners stand. She recieved flowers and the best part.. a kiss from Max. Tiffany couldn't stop smiling after that! Max presenting Tiffany an official jersey. Daesha getting Max to sign her metal. I still love reading this post over and over, I need to find the news clip on it, I hope she is doing okay, we pray for her a lot.